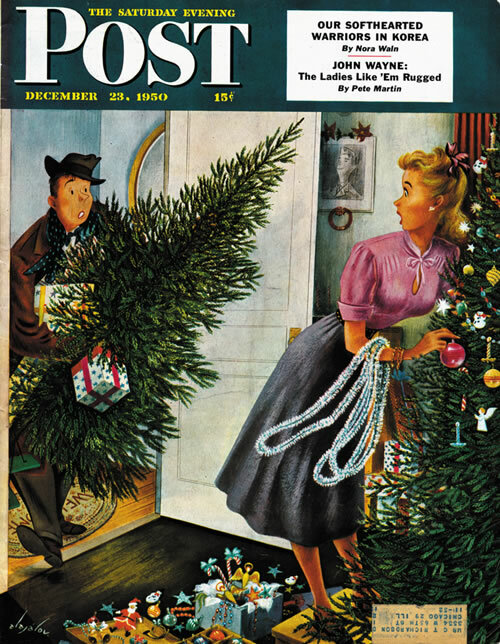 This great cover raises the question, the husband didn’t know his wife had already gotten a tree? This wouldn’t have happened if cell phones existed in 1950. But maybe it started a new tradition: putting up two trees every year! The kids loved it and it was different from what the neighbors were doing. Besides, the husband needs a tree to decorate too. Looks like the wife is already halfway done. Busy doing many Christmas things, including some last minute grocery shopping, writing a column, and cooking enough maple brown sugar baby carrots to feed eight people. Have a terrific Christmas! I’ll be back here next week just before New Year’s.